Our Jojoba Beads are made from real Jojoba wax. 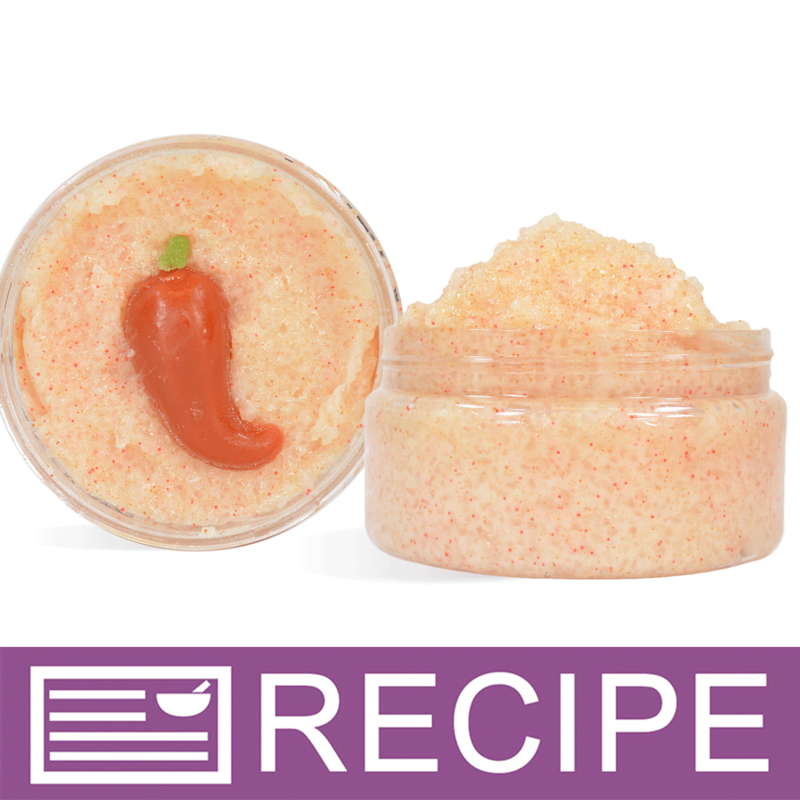 These are bright red in color and can be used to exfoliate the skin and scalp. Mesh size 20/40 (coarse). "love these moisture beads! " COMMENTS: I love these new beads! Started with the red in a pink CP bar but I can't wait to try them in more CP and maybe one day glycerin. They add a cool pop of color and marketable feature. COMMENTS: Use these in my Dead Sea Salt & sugar scrubs.. adds a more professional look. Going to try in my peppermint Christmas themed soaps. I love jojoba Beads but the red is my favorite. COMMENTS: I used these in a handmade sugar scrub and it turned out beautiful. I like the fact that it offers slight scrubbing in the product in addition to the sugar. Will be purchasing this product more often and in the different colors. "Adds a POP of color"
COMMENTS: I just adore using these. In my Christmas theme peppermint white CP soap the read beads really added to the look and feel of the soap. 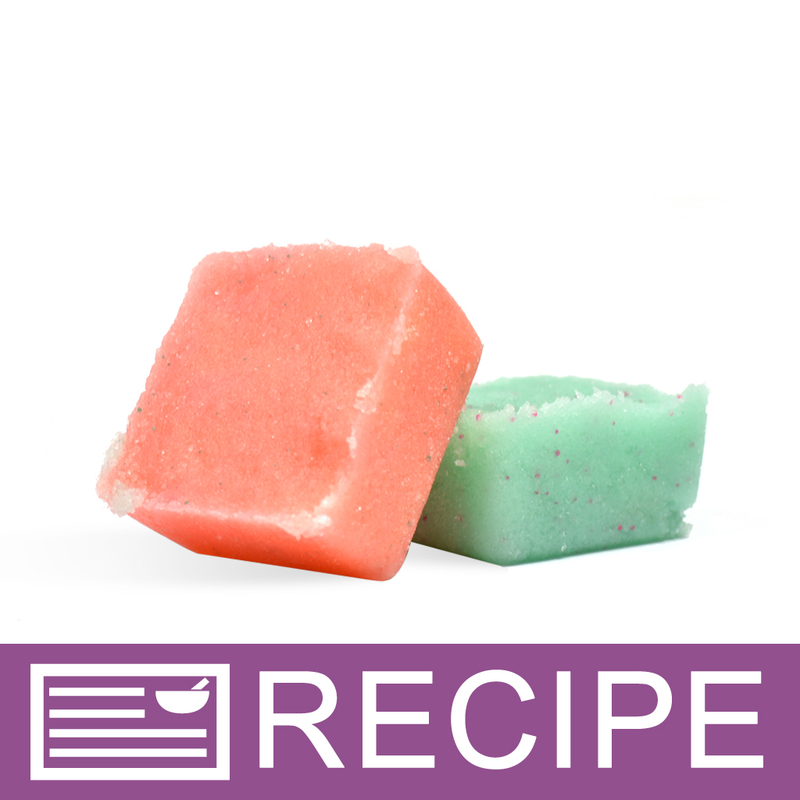 COMMENTS: I loved these beads for my winter peppermint soaps. It added the perfect exfoliation to the soap. My customers love it. "So glad I got these!!" COMMENTS: I've been wanting to try jojoba beads for so long! I thought that they were just for liquid soap, until I read some of the reviews. These are perfect for cp soap when you want a mice simple touch, which could really come in handy when using a fragrance that accelerates! I also tried them in sugar scrub, I really love the look! These would be great for a beginner with cold process! COMMENTS: This was a perfect accent to my peppermint soap! "Love all the different jojoba beads." COMMENTS: Have every color and will continue to buy them. COMMENTS: beautiful in valentines themed scrubs!! but really not worth the price for me to buy again! Maybe I could find a better use for them! COMMENTS: Makes my sugar scrubs really stand out. they really exfoliate and clean the skin leaving it soft and silky. • easy to use. beautiful color. "Absolutely In Love With Them!" COMMENTS: I am so glad I finally made the decision to buy these little gems. They made my peppermint candy cane sugar scrubs look soooo amazing. A little went a long way I might add. I added just a little bit of color to the mix and the little beads just made my product look creamy and scrumptious. Thank you so much for the addition! COMMENTS: Love the color. Use it as "topping" on my cupcakes, mixed it with the orange ones and it turned out beautiful. COMMENTS: We use this in our sugar scrubs, and it really makes them pop when packaged in a clear jar!! Also, adds a little more exfoliant for when the sugar dissolves in the scrub. • Good scrub, not too rough. "Will find many uses for these "
COMMENTS: I hope to use these in a bath whip for different holidays/seasons....Valentines, Christmas or combine with the blue beads for July 4th. I have used them in a scrub already and like the mild exfoliant properties...not too rough. I really like these. COMMENTS: Pink beads were sold out so I went for these. I will switch over to the red. They just show up better in soap and whipped soaps.
" How much should I use in a lip scrub? I don’t know how much to buy:-("
Staff Answer It would depend on whether this will be used as the only scrub or if using in addition to sugar. If adding in addition to sugar, a small amount would be fine. If using as the only scrub, you would need much more. "Hi, I want to make a face scrub & use these beads. Can i use them in a face scrub? Thank you"
Staff Answer Yes, these beads provide a nice mild exfoliation.